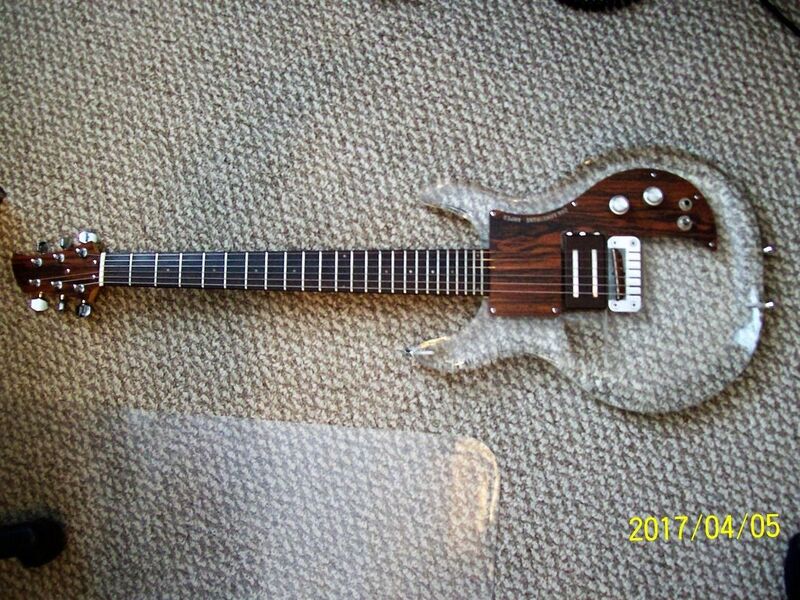 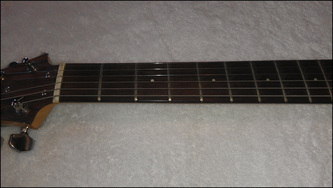 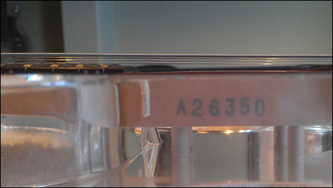 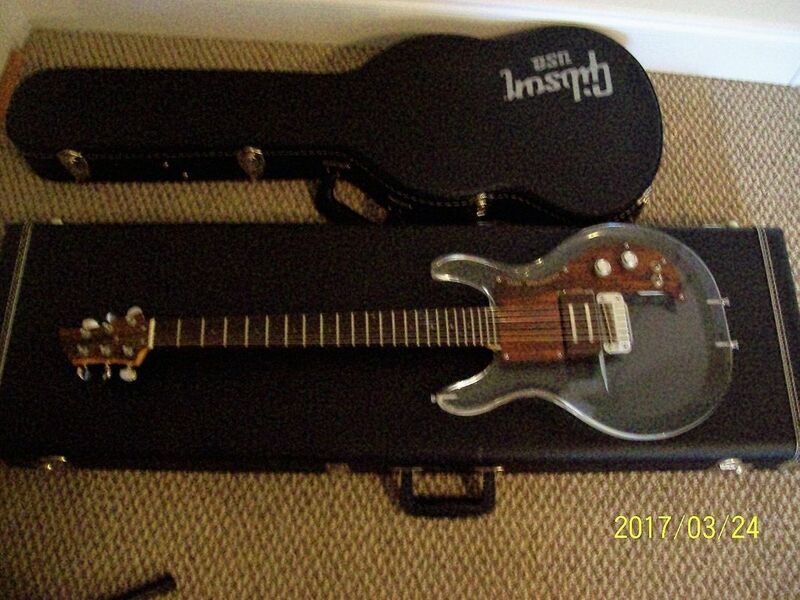 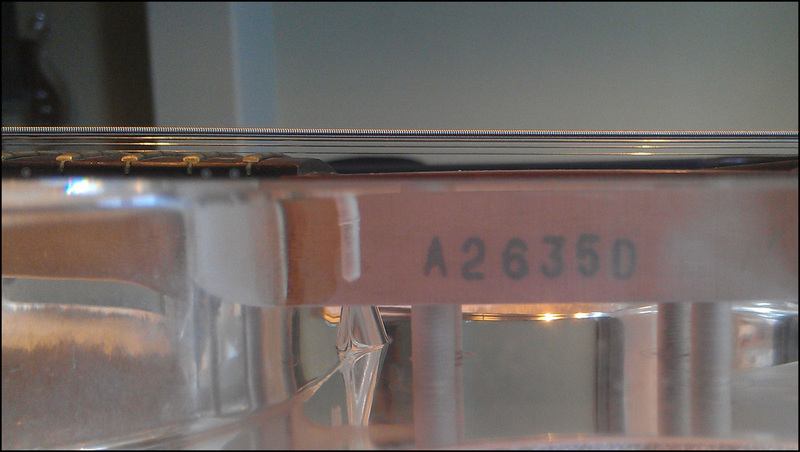 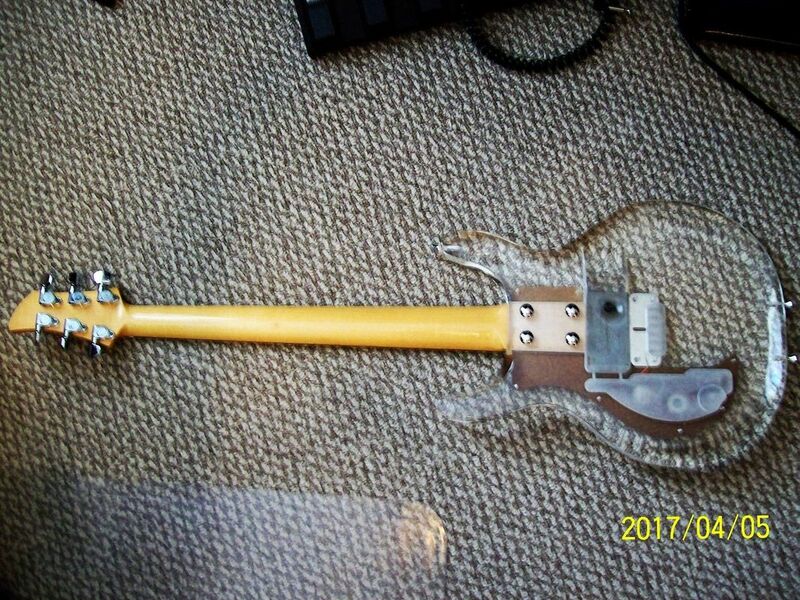 This guitar came on the market in June 2012 with an asking price of $2,100, but didn't sell at that time. 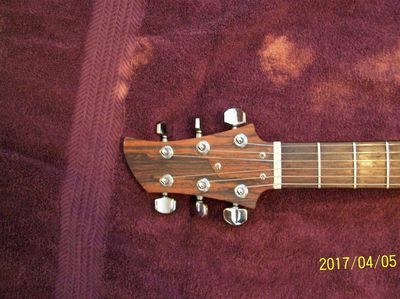 Guitar looks to be in very nice condition with the exception of some work on the nut, and comes with an RT and non-original hard shell case. 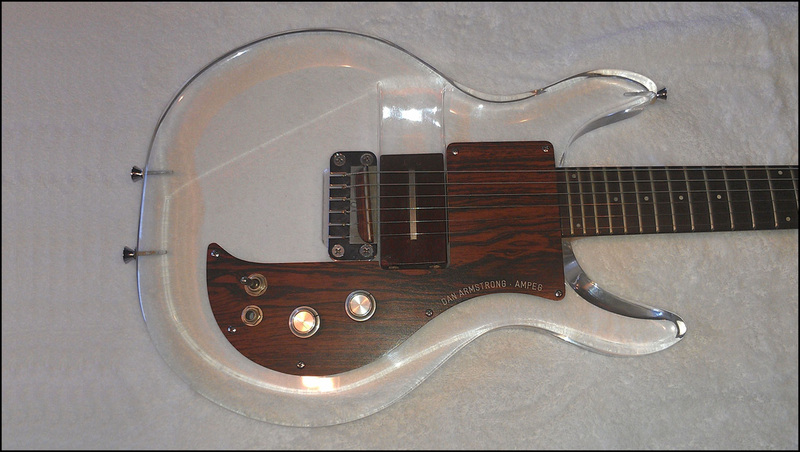 "Rare Collectible 1970 Ampeg Dan Armstrong Special Plexiglass Electric Guitar - Serial Number A2635D. I have two of these guitars listed! 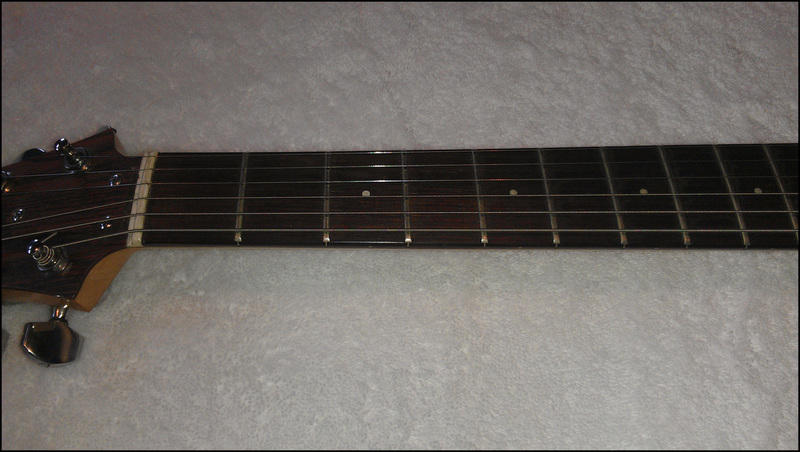 ALL ORIGINAL VINTAGE GUITAR IN EXCELLENT CONDITION! 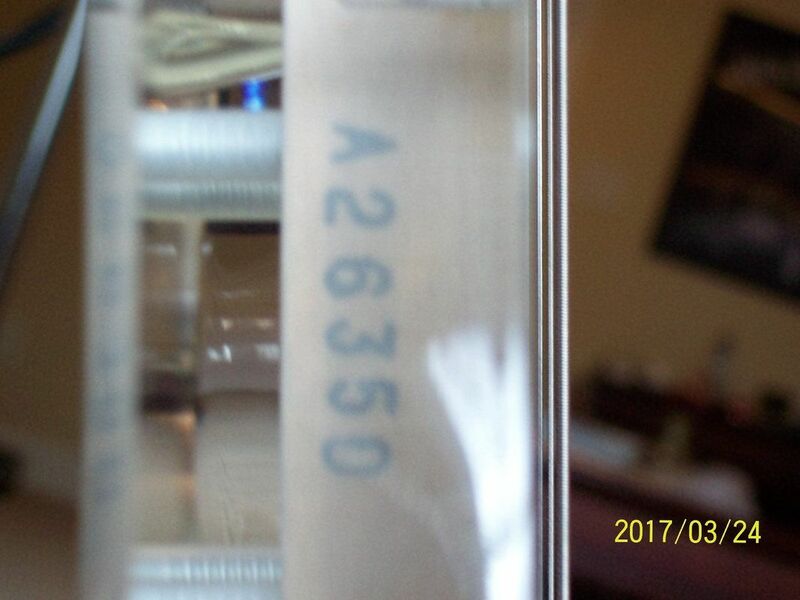 Look at the pictures, it looks amazing!!! 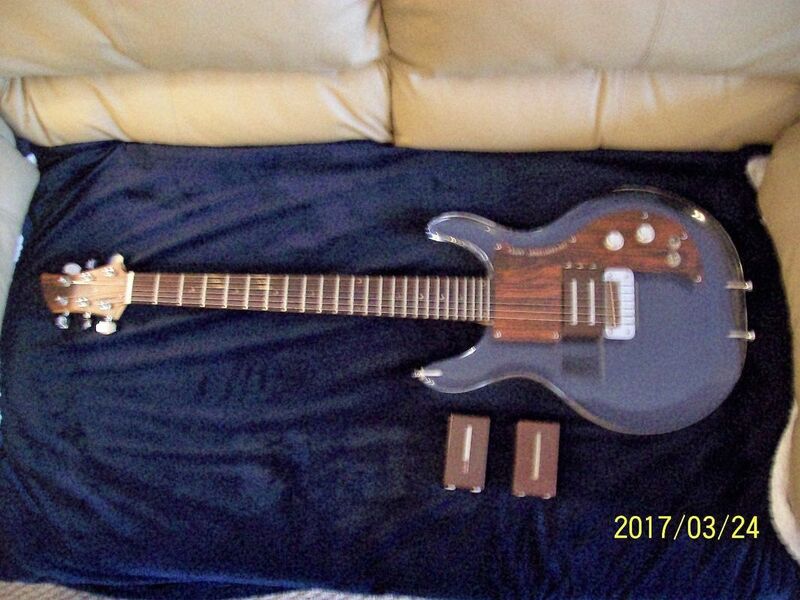 The pictures are of the actual guitar that you are bidding on! 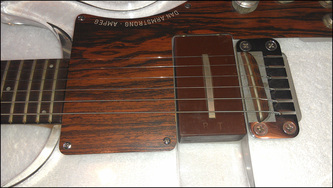 This guitar is completely original and comes with the the original Rock Treble (RT) Pickup. 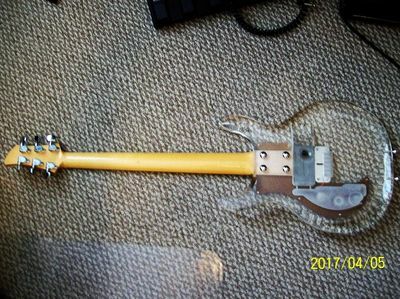 It has had one owner before and I just bought it to display, never played. 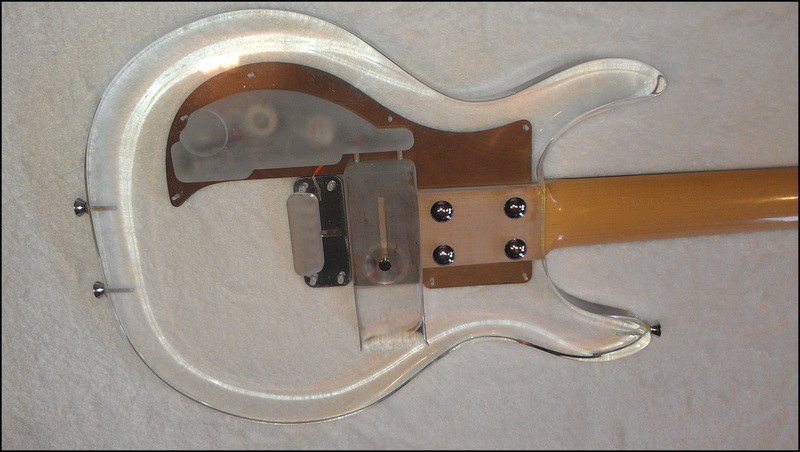 It has minimal wear that is barely noticeable, any scratches that it has are very faint and can likely be polished out if your wanted, only one back of the neck ding only in the clear coat that is not very noticeable, but nothing major is wrong with it and comes with a modern case. 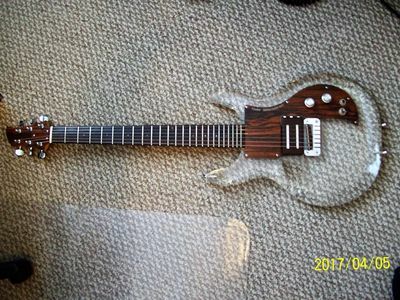 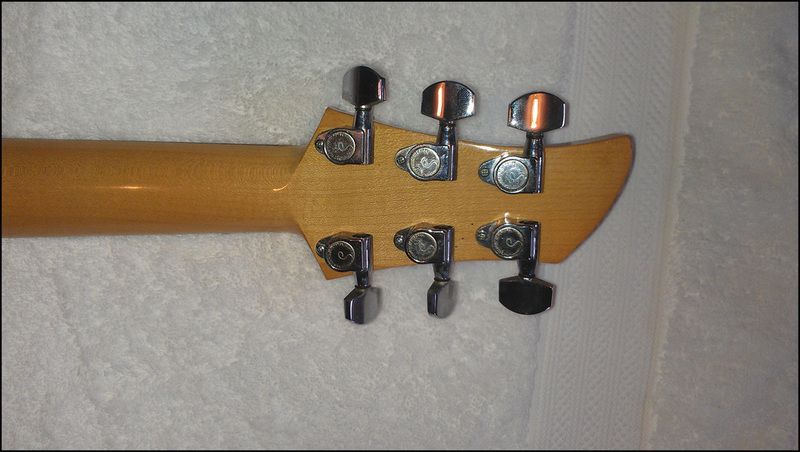 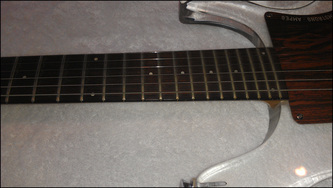 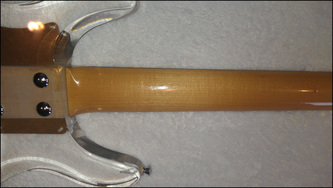 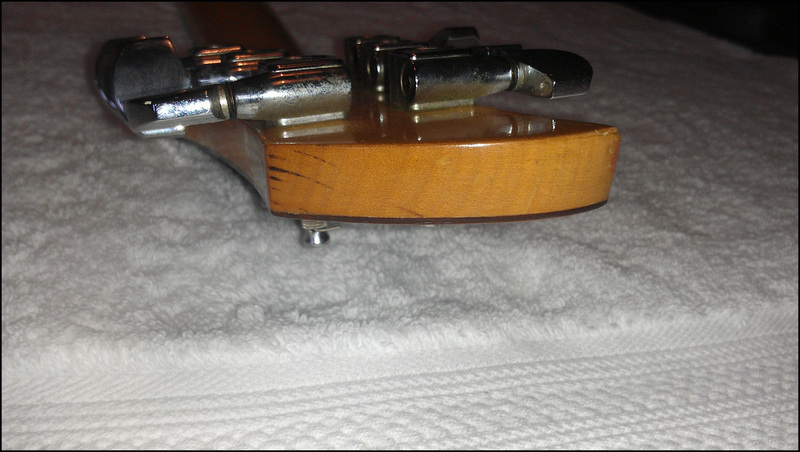 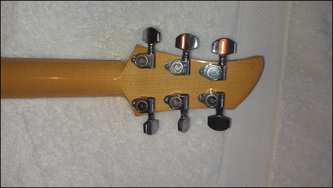 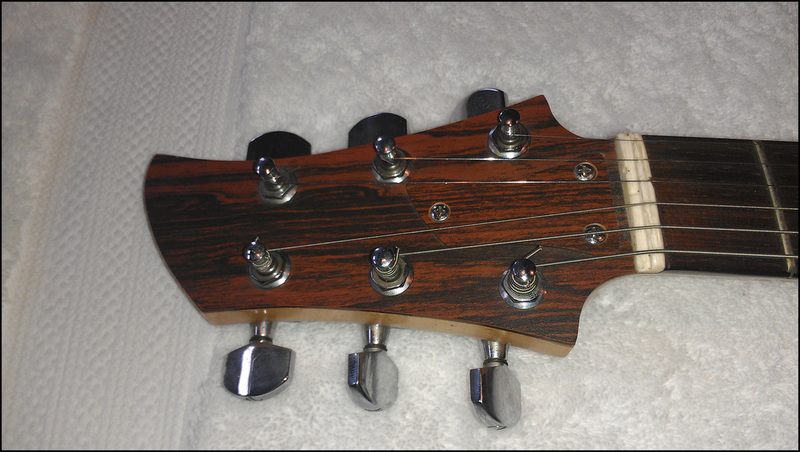 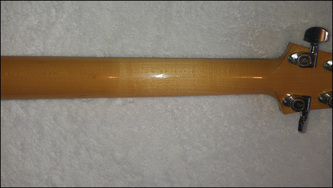 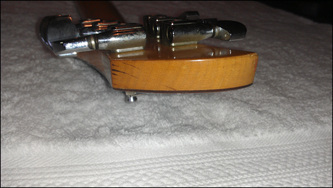 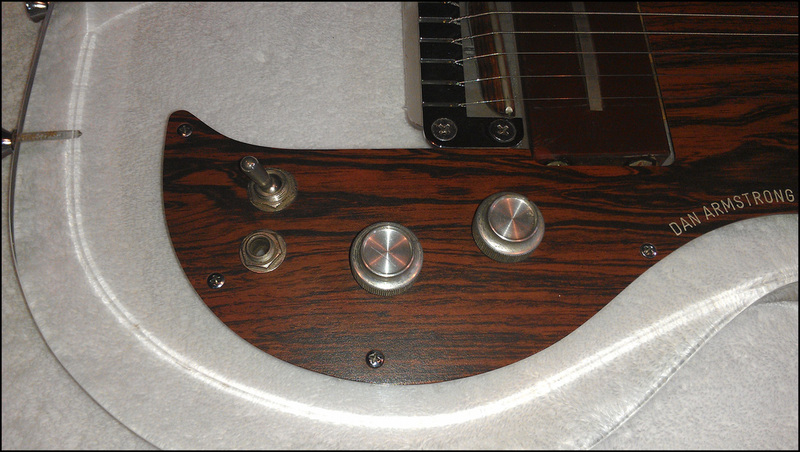 This guitar could easily be made into a perfect guitar with a bit of cleaning and polishing." Back on the market in April 2017 with an asking price of $3,650. 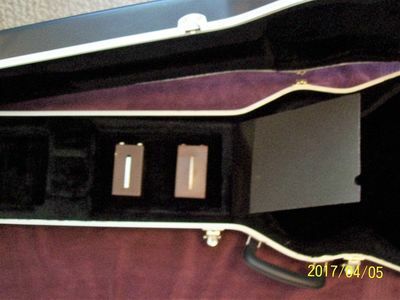 What's interesting this time is that the guitar is shown with two cases, and the rectangular case might possibly be an OEM Dan Armstrong case. "Rare 1971 Dan Armstrong Guitar. 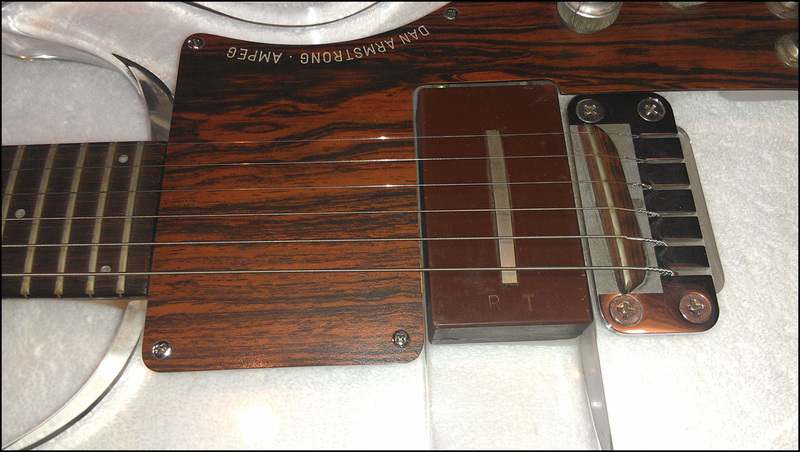 Beautiful guitar, sounds and looks great, plays great with the original rock treble pickup plus two additional pickups bought from Kent Armstrong (his son). 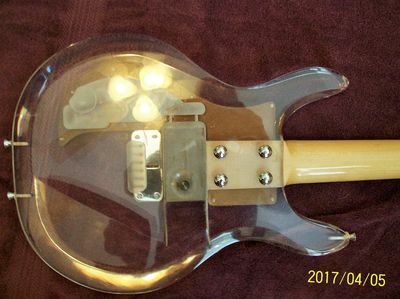 Please feel free to email if additional information is wanted or needed. Thank you."